In 1964, Lerner, while pursuing a Ph.D. in Philosophy at U.C. Berkeley, was a member of the executive committee of the Free Speech Movement. He helped organize two major teach-ins: the first about the War in Vietnam, and the second to raise awareness among white people about racism and to support the newly-emerged Black Power movement. From 1966-68, he was chair of the Berkeley chapter of SDS—Students for a Democratic Society. As a leader of the Peace and Freedom Party, Lerner worked to develop an alliance with the Black Panther Party and met with MLK, Jr. to urge him to accept the party’s nomination for President. In 1969, Lerner moved to Seattle as an Assistant Professor in Philosophy at the University of Washington. While there he organized a major anti-war demonstration for which he was indicted, in 1970 by the Nixon White House, in what became known as the second major federal trial against the anti-war movement – “the Seattle Seven Conspiracy Trial.” Though Lerner was a strong proponent of nonviolence, J. Edgar Hoover, director of the FBI at the time, described Lerner as “one of the most dangerous criminals in America.” He was sent to Terminal Island Federal Penitentiary for contempt of court, charges that were later overturned by the Federal Appeals Court. He then proceeded to help organize the largest nonviolent civil disobedience in U.S. history – May Day – in Washington, D.C. in 1971. After the march and while still under indictment, he continued his activism by founding “The New American Movement” which later merged with the Democratic Socialist Organizing Committee to become the Democratic Socialists of America (DSA). After completing his second Ph.D. (in clinical and social psychology at the Wright Institute, Berkeley), Lerner founded the Institute for Labor and Mental Health, and became principal investigator of a major NIMH research project on stress at work and family life. In the course of that work, he and his colleagues uncovered the spiritual crisis in American society. This spiritual crisis led many people whose material interests were best served by the Left to instead move to the Right. From 1980-85, he served as Dean of the Graduate School of Psychology of New College of California training future psychotherapists about the connection between personal psychological challenges and societal pathologies. Rabbi Lerner pioneered “the Politics of Meaning” and later founded the Network of Spiritual Progressives. His ideas gained influence and reached a larger public audience after the NY Times magazine published an article about Lerner entitled “This Year’s Prophet”. Mentored by Abraham Joshua Heschel at the Jewish Theological Seminary, Rabbi Lerner became controversial for his unwavering support of Palestinians and his insistence on seeing the humanity of both peoples in the Holy Land. Rabbi Lerner consistently insists that Israel end the Occupation of the West Bank either by helping Palestinians create an economically and politically viable state of their own, or by following the central democratic principle of “one person/one vote” and giving West Bank Palestinians the right to vote in elections to the Israeli Knesset. For his courageous stands, on one hand, his house was attacked four times by Right wing extremist Jews and on the other hand, he received the PEN (Oakland) Award and the Martin Luther King, Jr./Mahatma Gandhi Peace Award from Morehouse College, Atlanta. His theology book Jewish Renewal: A Path to Healing and Transformation became a national best seller. 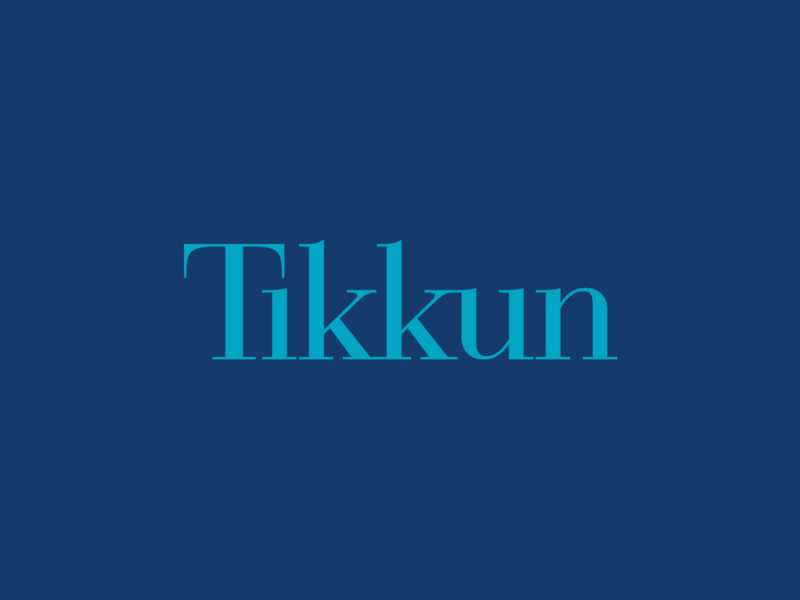 He received Rabbinic ordination by a Beyt Din chaired by Zalman Schachter Shalomi and is a member of the Northern California Board of Rabbis and the Jewish Renewal rabbinic organization Ohalah. Click here to access spiritual wisdom from Rabbi Lerner. 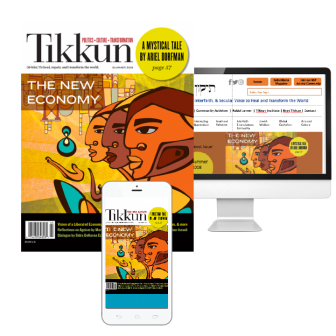 To help educate progressives around the world about the spiritual and psychological needs that the Left often ignored and the Right addressed in a distorted fashion, Lerner founded Tikkun Magazine in 1986. He has authored many books, and lectured on college campuses around the U.S. including Harvard, Columbia, U. of Chicago, U. of Michigan, UCLA, U. of Washington, and dozens more. Utne Reader called him one of America’s 100 Most Significant Visionaries and the Dalai Lama honored him for his peace work. His book The Left Hand of God: Taking Back our Country from the Religious Right, which draws from his research at the ILMH, became his second national best seller in 2006. He has been a guest on both national and international radio and television, including Larry King Live, CNN News, Meet the Press, Bill Moyers Journal, Terry Gross’ Fresh Airand more. His other books include: Embracing Israel/Palestine, Surplus Powerlessness: The Psychodynamics of Daily Life, Spirit Matters, The Socialism of Fools: Anti-Semitism on the Left, and in 2019: Revolutionary Love: A Political Manifesto to Heal and Transform the World.